Pastor Angel Amador led a team of believers from Danli and Tegucigalpa to plant GCLA’s first church in Nicaragua in 2006. The church is conveniently located in close proximity to several prominent universities, which has already brought in several very encouraging young leaders to the church. GCLA hopes to influence youth in hopes of changing the future culture of Latin America, to break the chains of poverty with the power of the Gospel. The Church in Managua is a great example of how GCLA attempts to take a holistic approach. Since the church was planted in 2006, God has used the church to start a malnutrition center that benefits 16 kids between the ages of 3-5. The children are cared for at the church building, where they received meals, education and most of all are introduced to Jesus Christ. In order to touch the more educated generation, the church started a computer lab where students can come to study, use the Internet and hang out. Additionally, in 2011, GCLA’s medical partnership with Total Health allowed GCLA to hire a doctor full time to run a clinic to administer love through medical assistance and evangelism. [Walter Bonilla is the doctor, who loves the Lord and his ability to use his gifts to further Christ’s Kingdom. ]GCLA believes that the best way to reach people is to meet them where they are at by providing the love of Christ. The Church hopes that through it’s CDI, Computer Lab and Total Health services to reach as many people for the Kingdom. The church celebrated its 5-year anniversary in July 2011, helping GCLA remember God’s faithfulness. The church started with two families, but now has around 65-70 in its congregation. Mission: Populate heaven with souls, and the earth with disciples of Jesus Christ. 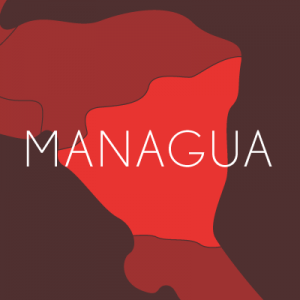 Vision: We are a church passionate about reaching Managua with the Gospel of Jesus Christ. Meetings: Domingos 10:30 a.m. | Miercoles 6:30 p.m. Address: Barrio Edgard Munguis, Semaforos Enel Central, una cuadra al sur.